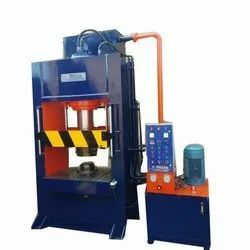 Leading Manufacturer of four column hydraulic press, production line hydraulic deep drawing press, hydraulic machine for utensil, fan cover making hydraulic machine, utensils making machine and sheet metal pressing machine from Delhi. 1. The frame is heavy-duty as well as compact and it assures precise results. It is made of high quality mild steel and it has undergone systematicmechanical processes. 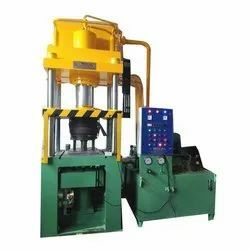 A deep drawing press is a pressing machine designed specifically for deep forming as well as drawing of metal plates. Royal Hydrotech offers machine capacities range from 10 to 3, 000 tons; Subject to customers' demands. 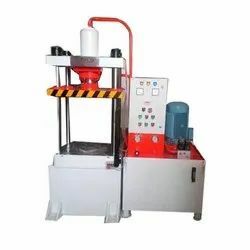 .All of the deep drawing press machines are made of excellent quality, diligent service promise, and branding ideas, offering perfect nature to customers all over the world. With ROYAL HYDROTECH, you can put the solutions of the future onto the road. As a global leader in forming technology, we deliver systems, tooling, process expertise and services for the entire automotive industry. We respond to the unique requirements of each customer - with high-quality products and first-class service to support the challenges presented by the market. We are working to exceed the expectations of the future as well, with innovative solutions for the automotive industry. 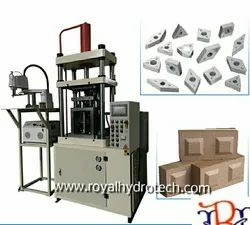 ROYAL HYDROTECH is the technological and INDIAN market leader in forming equipment. We offer presses, automation, dies, process know-how and services for the entire metal forming industry. Our clients include car manufacturers and their suppliers, as well as companies in the forging, appliance, packaging, energy and electrical industries. We are the market leader in coin minting presses and supply systems solutions for the aerospace, railway and large pipe industries. Innovation is in our DNA: ROYAL HYDROTECH technology ensures maximum productivity, high levels of energy-efficiency and reliable mass manufacturing - also of lightweight parts. 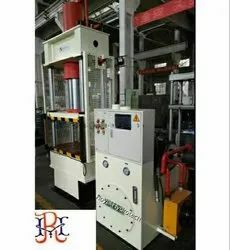 As a system supplier for forming technology, ROYAL HYDROTECH integrates the specific automation solution into hydraulic, mechanical and servo press lines - from the blank to the finished part - depending on the spectrum of parts, the output capacity and the space requirements. Press inter-linking can be implemented with conventional robot solutions or with the innovative Crossbar automation systems developed by ROYAL HYDROTECH. 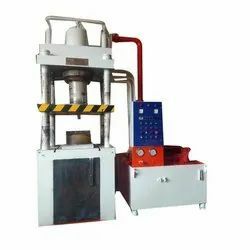 Regardless of which solution is used, the transfer of the work pieces is performed without intermediate storage, with high production reliability and at high speed - directly from one die to the next.